Thuan PD, Ca NT, Van Toi P, Nhien NT, Thanh NV, Anh ND, Phu NH, Thai CQ, Thai LH, Hoa NT, Dong LT, Loi MA, Son DH, Khanh TT, Dolecek C, Nhan HT, Wolbers M, Thwaites G, Farrar J, White NJ, Hien TT. Am J Trop Med Hyg. 2016 Apr;94(4):879-85. doi: 10.4269/ajtmh.15-0740. Epub 2016 Feb 8. Dihydroartemisinin-piperaquine versus chloroquine to treat vivax malaria in Afghanistan: an open randomized, non-inferiority, trial. Awab GR, Pukrittayakamee S, Imwong M, Dondorp AM, Woodrow CJ, Lee SJ, Day NP, Singhasivanon P, White NJ, Kaker F.
Malar J. 2010 Apr 21;9:105. doi: 10.1186/1475-2875-9-105. Dihydroartemisinin-piperaquine versus chloroquine in the treatment of Plasmodium vivax malaria in Thailand: a randomized controlled trial. Phyo AP, Lwin KM, Price RN, Ashley EA, Russell B, Sriprawat K, Lindegardh N, Singhasivanon P, White NJ, Nosten F.
Clin Infect Dis. 2011 Nov;53(10):977-84. doi: 10.1093/cid/cir631. In vivo susceptibility of Plasmodium falciparum to artesunate in Binh Phuoc Province, Vietnam. Hien TT, Thuy-Nhien NT, Phu NH, Boni MF, Thanh NV, Nha-Ca NT, Thai le H, Thai CQ, Toi PV, Thuan PD, Long le T, Dong le T, Merson L, Dolecek C, Stepniewska K, Ringwald P, White NJ, Farrar J, Wolbers M.
Malar J. 2012 Oct 26;11:355. doi: 10.1186/1475-2875-11-355. Artemisinin-based combination therapy for treating uncomplicated Plasmodium vivax malaria. Gogtay N, Kannan S, Thatte UM, Olliaro PL, Sinclair D.
Cochrane Database Syst Rev. 2013 Oct 25;(10):CD008492. doi: 10.1002/14651858.CD008492.pub3. Review. A randomized comparison of dihydroartemisinin-piperaquine and artesunate-amodiaquine combined with primaquine for radical treatment of vivax malaria in Sumatera, Indonesia. Pasaribu AP, Chokejindachai W, Sirivichayakul C, Tanomsing N, Chavez I, Tjitra E, Pasaribu S, Imwong M, White NJ, Dondorp AM. J Infect Dis. 2013 Dec 1;208(11):1906-13. doi: 10.1093/infdis/jit407. Epub 2013 Aug 6. Pharmacokinetics and efficacy of piperaquine and chloroquine in Melanesian children with uncomplicated malaria. Karunajeewa HA, Ilett KF, Mueller I, Siba P, Law I, Page-Sharp M, Lin E, Lammey J, Batty KT, Davis TM. Antimicrob Agents Chemother. 2008 Jan;52(1):237-43. Epub 2007 Oct 29. Sutanto I, Tjahjono B, Basri H, Taylor WR, Putri FA, Meilia RA, Setiabudy R, Nurleila S, Ekawati LL, Elyazar I, Farrar J, Sudoyo H, Baird JK. Antimicrob Agents Chemother. 2013 Mar;57(3):1128-35. doi: 10.1128/AAC.01879-12. Epub 2012 Dec 17. Dihydroartemisinin-piperaquine versus artesunate-amodiaquine for treatment of malaria infection in pregnancy in Ghana: an open-label, randomised, non-inferiority trial. Osarfo J, Tagbor H, Cairns M, Alifrangis M, Magnussen P.
Trop Med Int Health. 2017 Aug;22(8):1043-1052. doi: 10.1111/tmi.12905. Epub 2017 Jul 3. Two fixed-dose artemisinin combinations for drug-resistant falciparum and vivax malaria in Papua, Indonesia: an open-label randomised comparison. Ratcliff A, Siswantoro H, Kenangalem E, Maristela R, Wuwung RM, Laihad F, Ebsworth EP, Anstey NM, Tjitra E, Price RN. Artemisinin or chloroquine for blood stage Plasmodium vivax malaria in Vietnam. Phan GT, de Vries PJ, Tran BQ, Le HQ, Nguyen NV, Nguyen TV, Heisterkamp SH, Kager PA.
Trop Med Int Health. 2002 Oct;7(10):858-64. A trial of combination antimalarial therapies in children from Papua New Guinea. Karunajeewa HA, Mueller I, Senn M, Lin E, Law I, Gomorrai PS, Oa O, Griffin S, Kotab K, Suano P, Tarongka N, Ura A, Lautu D, Page-Sharp M, Wong R, Salman S, Siba P, Ilett KF, Davis TM. N Engl J Med. 2008 Dec 11;359(24):2545-57. doi: 10.1056/NEJMoa0804915. Epub 2008 Dec 8. Pyronaridine-artesunate versus chloroquine in patients with acute Plasmodium vivax malaria: a randomized, double-blind, non-inferiority trial. Poravuth Y, Socheat D, Rueangweerayut R, Uthaisin C, Pyae Phyo A, Valecha N, Rao BH, Tjitra E, Purnama A, Borghini-Fuhrer I, Duparc S, Shin CS, Fleckenstein L.
PLoS o­ne. 2011 Jan 18;6(1):e14501. doi: 10.1371/journal.pone.0014501. In vivo efficacy of artemether-lumefantrine and chloroquine against Plasmodium vivax: a randomized open label trial in central Ethiopia. Hwang J, Alemayehu BH, Reithinger R, Tekleyohannes SG, Takele Teshi, Birhanu SG, Demeke L, Hoos D, Melaku Z, Kassa M, Jima D, Malone JL, Nettey H, Green M, Poe A, Akinyi S, Udhayakumar V, Kachur SP, Filler S.
PLoS o­ne. 2013 May 22;8(5):e63433. doi: 10.1371/journal.pone.0063433. Print 2013. Comparison of the safety and efficacy of fixed-dose combination of arterolane maleate and piperaquine phosphate with chloroquine in acute, uncomplicated Plasmodium vivax malaria: a phase III, multicentric, open-label study. Valecha N, Savargaonkar D, Srivastava B, Rao BH, Tripathi SK, Gogtay N, Kochar SK, Kumar NB, Rajadhyaksha GC, Lakhani JD, Solanki BB, Jalali RK, Arora S, Roy A, Saha N, Iyer SS, Sharma P, Anvikar AR. Malar J. 2016 Jan 27;15:42. doi: 10.1186/s12936-016-1084-1. Efficacy of dihydroartemisinin-piperaquine for treatment of uncomplicated Plasmodium falciparum and Plasmodium vivax in Cambodia, 2008 to 2010. Leang R, Barrette A, Bouth DM, Menard D, Abdur R, Duong S, Ringwald P.
Antimicrob Agents Chemother. 2013 Feb;57(2):818-26. doi: 10.1128/AAC.00686-12. Epub 2012 Dec 3. Efficacy of two versus three-day regimens of dihydroartemisinin-piperaquine for uncomplicated malaria in military personnel in northern Cambodia: an open-label randomized trial. Lon C, Manning JE, Vanachayangkul P, So M, Sea D, Se Y, Gosi P, Lanteri C, Chaorattanakawee S, Sriwichai S, Chann S, Kuntawunginn W, Buathong N, Nou S, Walsh DS, Tyner SD, Juliano JJ, Lin J, Spring M, Bethell D, Kaewkungwal J, Tang D, Chuor CM, Satharath P, Saunders D.
PLoS o­ne. 2014 Mar 25;9(3):e93138. doi: 10.1371/journal.pone.0093138. eCollection 2014. 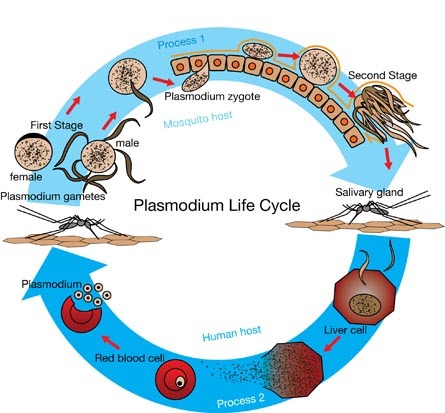 Delayed parasite clearance after treatment with dihydroartemisinin-piperaquine in Plasmodium falciparum malaria patients in central Vietnam. Thriemer K, Hong NV, Rosanas-Urgell A, Phuc BQ, Ha do M, Pockele E, Guetens P, Van NV, Duong TT, Amambua-Ngwa A, D'Alessandro U, Erhart A.
Antimicrob Agents Chemother. 2014 Dec;58(12):7049-55. doi: 10.1128/AAC.02746-14. Epub 2014 Sep 15. Therapeutic efficacy of artesunate in Plasmodium vivax malaria in Thailand. Hamedi Y, Safa O, Zare S, Tan-ariya P, Kojima S, Looareesuwan S.
Southeast Asian J Trop Med Public Health. 2004 Sep;35(3):570-4. Randomized, double-blind, placebo-controlled trial of monthly versus bimonthly dihydroartemisinin-piperaquine chemoprevention in adults at high risk of malaria. Lwin KM, Phyo AP, Tarning J, Hanpithakpong W, Ashley EA, Lee SJ, Cheah P, Singhasivanon P, White NJ, Lindegårdh N, Nosten F.
Antimicrob Agents Chemother. 2012 Mar;56(3):1571-7. doi: 10.1128/AAC.05877-11. Epub 2012 Jan 17. Dihydroartemisinin-piperaquine against multidrug-resistant Plasmodium falciparum malaria in Vietnam: randomised clinical trial. Tran TH, Dolecek C, Pham PM, Nguyen TD, Nguyen TT, Le HT, Dong TH, Tran TT, Stepniewska K, White NJ, Farrar J. Therapeutic efficacy of chloroquine and chloroquine plus primaquine for the treatment of Plasmodium vivax in Ethiopia. Yeshiwondim AK, Tekle AH, Dengela DO, Yohannes AM, Teklehaimanot A.
Acta Trop. 2010 Feb;113(2):105-13. doi: 10.1016/j.actatropica.2009.10.001. Epub 2009 Oct 14. Sinclair D, Gogtay N, Brand F, Olliaro P.
Cochrane Database Syst Rev. 2011 Jul 6;(7):CD008492. 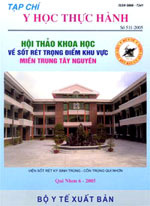 doi: 10.1002/14651858.CD008492.pub2. Review. Update in: Cochrane Database Syst Rev. 2013;10:CD008492. Clinical efficacy of chloroquine versus artemether-lumefantrine for Plasmodium vivax treatment in Thailand. Krudsood S, Tangpukdee N, Muangnoicharoen S, Thanachartwet V, Luplertlop N, Srivilairit S, Wilairatana P, Kano S, Ringwald P, Looareesuwan S.
Korean J Parasitol. 2007 Jun;45(2):111-4. Efficacy and safety of dihydroartemisinin-piperaquine for treatment of Plasmodium vivax malaria in endemic countries: meta-analysis of randomized controlled studies. Naing C, Racloz V, Whittaker MA, Aung K, Reid SA, Mak JW, Tanner M.
PLoS o­ne. 2013 Dec 3;8(12):e78819. doi: 10.1371/journal.pone.0078819. eCollection 2013. Review. Chaorattanakawee S, Saunders DL, Sea D, Chanarat N, Yingyuen K, Sundrakes S, Saingam P, Buathong N, Sriwichai S, Chann S, Se Y, Yom Y, Heng TK, Kong N, Kuntawunginn W, Tangthongchaiwiriya K, Jacob C, Takala-Harrison S, Plowe C, Lin JT, Chuor CM, Prom S, Tyner SD, Gosi P, Teja-Isavadharm P, Lon C, Lanteri CA. Antimicrob Agents Chemother. 2015 Aug;59(8):4631-43. doi: 10.1128/AAC.00366-15. Epub 2015 May 26. Taylor WR, Doan HN, Nguyen DT, Tran TU, Fryauff DJ, Gómez-Saladín E, Kain KC, Le DC, Baird JK. Am J Trop Med Hyg. 2000 Jun;62(6):693-7. 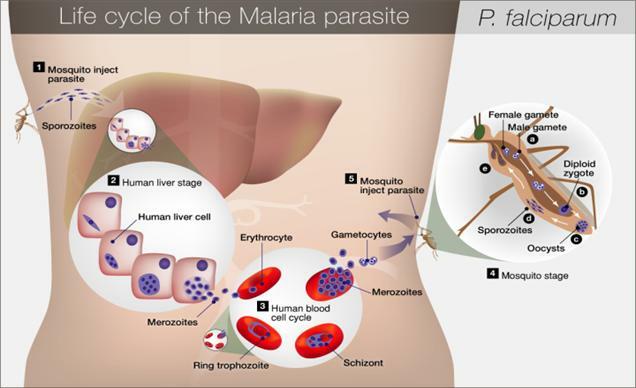 Active case detection, treatment of falciparum malaria with combined chloroquine and sulphadoxine/pyrimethamine and vivax malaria with chloroquine and molecular markers of anti-malarial resistance in the Republic of Vanuatu. Kinzer MH, Chand K, Basri H, Lederman ER, Susanti AI, Elyazar I, Taleo G, Rogers WO, Bangs MJ, Maguire JD. Malar J. 2010 Apr 6;9:89. doi: 10.1186/1475-2875-9-89. Artemisinin-naphthoquine combination versus chloroquine-primaquine to treat vivax malaria: an open-label randomized and non-inferiority trial in Yunnan Province, China. Liu H, Yang HL, Xu JW, Wang JZ, Nie RH, Li CF. Malar J. 2013 Nov 11;12:409. doi: 10.1186/1475-2875-12-409. Effectiveness of combined chloroquine and primaquine treatment in 14 days versus intermittent single dose regimen, in an open, non-randomized, clinical trial, to eliminate Plasmodium vivax in southern Mexico. Gonzalez-Ceron L, Rodriguez MH, Sandoval MA, Santillan F, Galindo-Virgen S, Betanzos AF, Rosales AF, Palomeque OL. Malar J. 2015 Oct 30;14:426. doi: 10.1186/s12936-015-0938-2. A double-blind, randomized study of azithromycin compared to chloroquine for the treatment of Plasmodium vivax malaria in India. Dunne MW, Singh N, Shukla M, Valecha N, Bhattacharyya PC, Patel K, Mohapatra MK, Lakhani J, Devi CU, Adak T, Dev V, Yadav RS, Lele C, Patki K.
Am J Trop Med Hyg. 2005 Dec;73(6):1108-11. The use of artemether-lumefantrine for the treatment of uncomplicated Plasmodium vivax malaria. PLoS Negl Trop Dis. 2011 Dec;5(12):e1325. doi: 10.1371/journal.pntd.0001325. Epub 2011 Dec 27. Review. Artemisinin combination therapy for vivax malaria. Douglas NM, Anstey NM, Angus BJ, Nosten F, Price RN. Lancet Infect Dis. 2010 Jun;10(6):405-16. doi: 10.1016/S1473-3099(10)70079-7. Review. Smithuis F, Kyaw MK, Phe O, Aye KZ, Htet L, Barends M, Lindegardh N, Singtoroj T, Ashley E, Lwin S, Stepniewska K, White NJ. 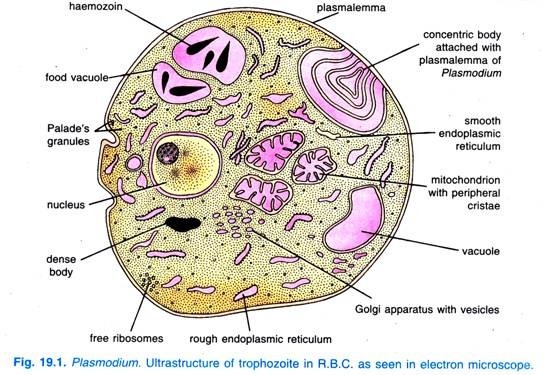 Efficacy of Chloroquine and Primaquine for the Treatment of Uncomplicated Plasmodium vivax Malaria in Cruzeiro do Sul, Brazil. Negreiros S, Farias S, Viana GM, Okoth SA, Chenet SM, de Souza TM, Marchesini P, Udhayakumar V, Povoa MM, Santelli AC, de Oliveira AM. Am J Trop Med Hyg. 2016 Nov 2;95(5):1061-1068. Epub 2016 Aug 22. Oral artesunate for neonatal malaria. Avabratha KS, Chettiyar LA, John NP. J Trop Pediatr. 2010 Dec;56(6):452-3. doi: 10.1093/tropej/fmq007. Epub 2010 Feb 8. The efficacy and tolerability of artemisinin-piperaquine (Artequick®) versus artesunate-amodiaquine (Coarsucam™) for the treatment of uncomplicated Plasmodium falciparum malaria in south-central Vietnam. Thanh NX, Trung TN, Phong NC, Quang HH, Dai B, Shanks GD, Chavchich M, Edstein MD. Malar J. 2012 Jun 28;11:217. doi: 10.1186/1475-2875-11-217. Dihydroartemisinin-piperaquine rescue treatment of multidrug-resistant Plasmodium falciparum malaria in pregnancy: a preliminary report. Rijken MJ, McGready R, Boel ME, Barends M, Proux S, Pimanpanarak M, Singhasivanon P, Nosten F.
Am J Trop Med Hyg. 2008 Apr;78(4):543-5. An open-label, randomised study of dihydroartemisinin-piperaquine versus artesunate-mefloquine for falciparum malaria in Asia. Valecha N, Phyo AP, Mayxay M, Newton PN, Krudsood S, Keomany S, Khanthavong M, Pongvongsa T, Ruangveerayuth R, Uthaisil C, Ubben D, Duparc S, Bacchieri A, Corsi M, Rao BH, Bhattacharya PC, Dubhashi N, Ghosh SK, Dev V, Kumar A, Pukrittayakamee S.
PLoS o­ne. 2010 Jul 30;5(7):e11880. Nelwan EJ, Ekawati LL, Tjahjono B, Setiabudy R, Sutanto I, Chand K, Ekasari T, Djoko D, Basri H, Taylor WR, Duparc S, Subekti D, Elyazar I, Noviyanti R, Sudoyo H, Baird JK. BMC Med. 2015 Dec 11;13:294. doi: 10.1186/s12916-015-0535-9. A pharmacokinetic and pharmacodynamic study of artesunate for vivax malaria. Batty KT, Le AT, Ilett KF, Nguyen PT, Powell SM, Nguyen CH, Truong XM, Vuong VC, Huynh VT, Tran QB, Nguyen VM, Davis TM. Am J Trop Med Hyg. 1998 Nov;59(5):823-7. Therapeutic efficacies of artesunate-sulfadoxine-pyrimethamine and chloroquine-sulfadoxine-pyrimethamine in vivax malaria pilot studies: relationship to Plasmodium vivax dhfr mutations. Tjitra E, Baker J, Suprianto S, Cheng Q, Anstey NM. Antimicrob Agents Chemother. 2002 Dec;46(12):3947-53. Dihydroartemisinin-piperaquine failure associated with a triple mutant including kelch13 C580Y in Cambodia: an observational cohort study. Spring MD, Lin JT, Manning JE, Vanachayangkul P, Somethy S, Bun R, Se Y, Chann S, Ittiverakul M, Sia-ngam P, Kuntawunginn W, Arsanok M, Buathong N, Chaorattanakawee S, Gosi P, Ta-aksorn W, Chanarat N, Sundrakes S, Kong N, Heng TK, Nou S, Teja-isavadharm P, Pichyangkul S, Phann ST, Balasubramanian S, Juliano JJ, Meshnick SR, Chour CM, Prom S, Lanteri CA, Lon C, Saunders DL. Lancet Infect Dis. 2015 Jun;15(6):683-91. doi: 10.1016/S1473-3099(15)70049-6. Epub 2015 Apr 12. Sutanto I, Endawati D, Ling LH, Laihad F, Setiabudy R, Baird JK. Malar J. 2010 Feb 12;9:52. doi: 10.1186/1475-2875-9-52. 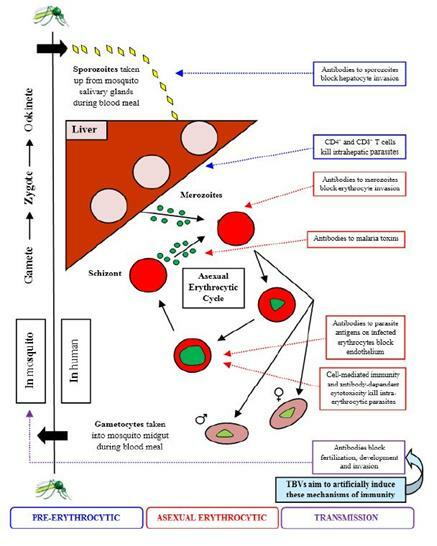 Azithromycin for treating uncomplicated malaria. van Eijk AM, Terlouw DJ. Cochrane Database Syst Rev. 2011 Feb 16;(2):CD006688. Chloroquine-resistant Plasmodium vivax malaria in Debre Zeit, Ethiopia. Teka H, Petros B, Yamuah L, Tesfaye G, Elhassan I, Muchohi S, Kokwaro G, Aseffa A, Engers H.
Malar J. 2008 Oct 29;7:220. doi: 10.1186/1475-2875-7-220. Comparison of artesunate and chloroquine activities against Plasmodium vivax gametocytes. Nacher M, Silachamroon U, Singhasivanon P, Wilairatana P, Phumratanaprapin W, Fontanet A, Looareesuwan S.
Antimicrob Agents Chemother. 2004 Jul;48(7):2751-2. Failure of artesunate-mefloquine combination therapy for uncomplicated Plasmodium falciparum malaria in southern Cambodia. Rogers WO, Sem R, Tero T, Chim P, Lim P, Muth S, Socheat D, Ariey F, Wongsrichanalai C.
Malar J. 2009 Jan 12;8:10. doi: 10.1186/1475-2875-8-10. Dihydroartemisinin-piperaquine for treating uncomplicated Plasmodium falciparum malaria. Zani B, Gathu M, Donegan S, Olliaro PL, Sinclair D.
Cochrane Database Syst Rev. 2014 Jan 20;(1):CD010927. doi: 10.1002/14651858.CD010927. Review. Efficacy of chloroquine for the treatment of Plasmodium vivax in the Saharan zone in Mauritania. Ould Ahmedou Salem MS, Mohamed Lemine YO, Deida JM, Lemrabott MA, Ouldabdallahi M, Ba MD, Boukhary AO, Khairy ML, Abdel Aziz MB, Ringwald P, Basco LK, Niang SD, Lebatt SM. Malar J. 2015 Jan 28;14:39. doi: 10.1186/s12936-015-0563-0. Population pharmacokinetics of a three-day chloroquine treatment in patients with Plasmodium vivax infection o­n the Thai-Myanmar border. Höglund R, Moussavi Y, Ruengweerayut R, Cheomung A, Äbelö A, Na-Bangchang K.
Malar J. 2016 Feb 29;15:129. doi: 10.1186/s12936-016-1181-1. Assessment of therapeutic efficacy of chloroquine for vivax malaria in Thailand. Vijaykadga S, Rojanawatsirivej C, Congpoung K, Wilairatana P, Satimai W, Uaekowitchai C, Pumborplub B, Sittimongkol S, Pinyorattanachote A, Prigchoo P.
Southeast Asian J Trop Med Public Health. 2004 Sep;35(3):566-9. Therapeutic efficacy and safety of dihydroartemisinin-piperaquine versus artesunate-mefloquine in uncomplicated Plasmodium falciparum malaria in India. Gargano N, Ubben D, Tommasini S, Bacchieri A, Corsi M, Bhattacharyya PC, Rao BH, Dubashi N, Dev V, Ghosh SK, Kumar A, Srivastava B, Valecha N.
Malar J. 2012 Jul 20;11:233. doi: 10.1186/1475-2875-11-233. Survey of in vivo sensitivity to chloroquine by Plasmodium falciparum and P. vivax in Lombok, Indonesia. Fryauff DJ, Baird JK, Candradikusuma D, Masbar S, Sutamihardja MA, Leksana B, Tuti S, Marwoto H, Richie T, Romzan A. Am J Trop Med Hyg. 1997 Feb;56(2):241-4. Sulfadoxine-pyrimethamine plus artesunate compared with chloroquine for the treatment of vivax malaria in areas co-endemic for Plasmodium falciparum and P. vivax: a randomised non-inferiority trial in eastern Afghanistan. Kolaczinski K, Durrani N, Rahim S, Rowland M.
Trans R Soc Trop Med Hyg. 2007 Nov;101(11):1081-7. Epub 2007 Aug 17. Chloroquine-resistant Plasmodium vivax malaria in Serbo town, Jimma zone, south-west Ethiopia. Ketema T, Bacha K, Birhanu T, Petros B.
Malar J. 2009 Jul 30;8:177. doi: 10.1186/1475-2875-8-177. 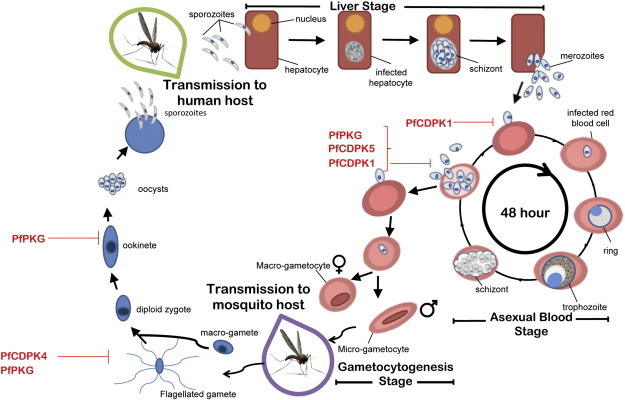 In vivo therapeutic efficacy of chloroquine alone or in combination with primaquine against vivax malaria in Kolkata, West Bengal, India, and polymorphism in pvmdr1 and pvcrt-o genes. Ganguly S, Saha P, Guha SK, Das S, Bera DK, Biswas A, Kundu PK, Saha B, Ray K, Maji AK. Antimicrob Agents Chemother. 2013 Mar;57(3):1246-51. doi: 10.1128/AAC.02050-12. Epub 2012 Dec 21. Evaluation of Efficacy of Chloroquine for Plasmodium Vivax Infection Using Parasite Clearance Times: A 10-Year Study and Systematic Review. Subramony H, Tangpukdee N, Krudsood S, Poovorawan K, Muangnoicharoen S, Wilairatana P.
Ann Acad Med Singapore. 2016 Jul;45(7):303-14. Review. 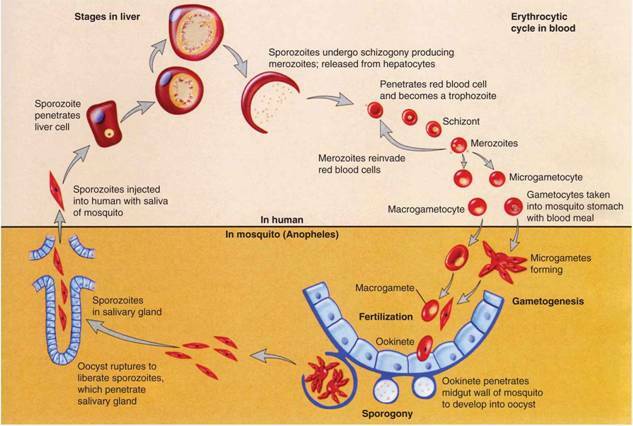 [Therapeutic response of Plasmodium vivax to chloroquine in Bolivia]. Añez A, Navarro-Costa D, Yucra O, Garnica C, Melgar V, Moscoso M, Arteaga R, Nakao G.
Biomedica. 2012 Oct-Dec;32(4):527-35. doi: 10.1590/S0120-41572012000400008. Spanish. 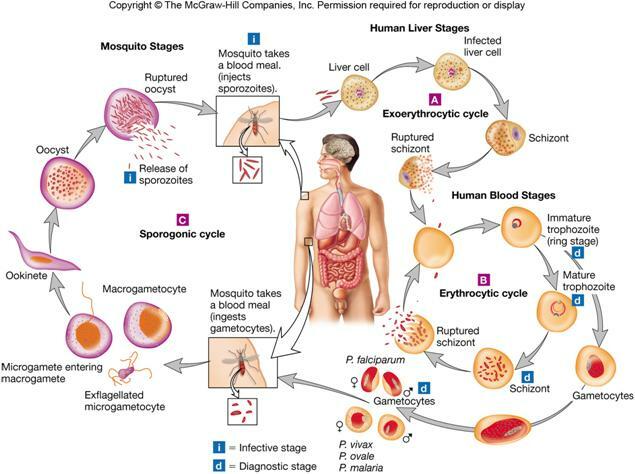 Therapeutic efficacy of chloroquine for treatment of Plasmodium vivax malaria cases in Halaba district, South Ethiopia. Ketema T, Getahun K, Bacha K.
Parasit Vectors. 2011 Mar 31;4:46. doi: 10.1186/1756-3305-4-46. 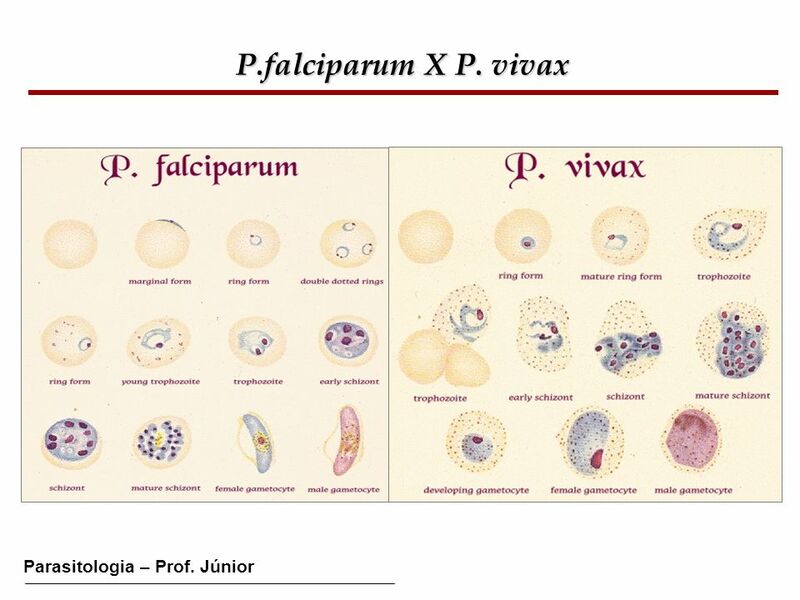 Plasmodium vivax clinically resistant to chloroquine in Colombia. Soto J, Toledo J, Gutierrez P, Luzz M, Llinas N, Cedeño N, Dunne M, Berman J. Am J Trop Med Hyg. 2001 Aug;65(2):90-3. A phase III, randomized, non-inferiority trial to assess the efficacy and safety of dihydroartemisinin-piperaquine in comparison with artesunate-mefloquine in patients with uncomplicated Plasmodium falciparum malaria in southern Laos. Mayxay M, Keomany S, Khanthavong M, Souvannasing P, Stepniewska K, Khomthilath T, Keola S, Pongvongsa T, Phompida S, Ubben D, Valecha N, White NJ, Newton PN. Am J Trop Med Hyg. 2010 Dec;83(6):1221-9. doi: 10.4269/ajtmh.2010.10-0276. Randomized, double-blind, placebo-controlled clinical trial of a two-day regimen of dihydroartemisinin-piperaquine for malaria prevention halted for concern over prolonged corrected QT interval. Manning J, Vanachayangkul P, Lon C, Spring M, So M, Sea D, Se Y, Somethy S, Phann ST, Chann S, Sriwichai S, Buathong N, Kuntawunginn W, Mitprasat M, Siripokasupkul R, Teja-Isavadharm P, Soh E, Timmermans A, Lanteri C, Kaewkungwal J, Auayporn M, Tang D, Chour CM, Prom S, Haigney M, Cantilena L, Saunders D.
Antimicrob Agents Chemother. 2014 Oct;58(10):6056-67. doi: 10.1128/AAC.02667-14. Epub 2014 Aug 4. Zongo I, Dorsey G, Rouamba N, Dokomajilar C, Séré Y, Rosenthal PJ, Ouédraogo JB. Clin Infect Dis. 2007 Dec 1;45(11):1453-61. Epub 2007 Oct 22. Monitoring Plasmodium vivax chloroquine sensitivity along China-Myanmar border of Yunnan Province, China during 2008-2013. Liu H, Yang HL, Tang LH, Li XL, Huang F, Wang JZ, Li CF, Wang HY, Nie RH, Guo XR, Lin YX, Li M, Xu JW. Malar J. 2014 Sep 15;13:364. doi: 10.1186/1475-2875-13-364. Yuan L, Wang Y, Parker DM, Gupta B, Yang Z, Liu H, Fan Q, Cao Y, Xiao Y, Lee MC, Zhou G, Yan G, Baird JK, Cui L.
Plasmodium vivax remains responsive to chloroquine with primaquine treatment regimen: a prospective cohort study from tertiary care teaching hospital in southern India. Saravu K, Acharya V, Kumar K, Kumar R.
Trop Doct. 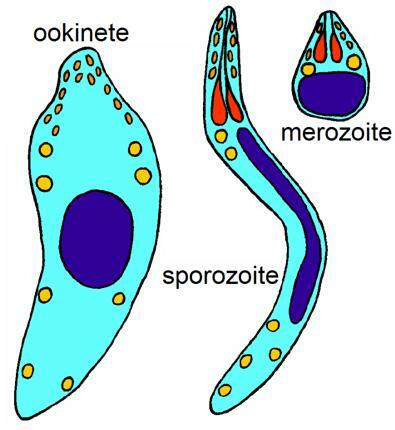 2012 Jul;42(3):163-4. doi: 10.1258/td.2012.120038. Epub 2012 Apr 19. 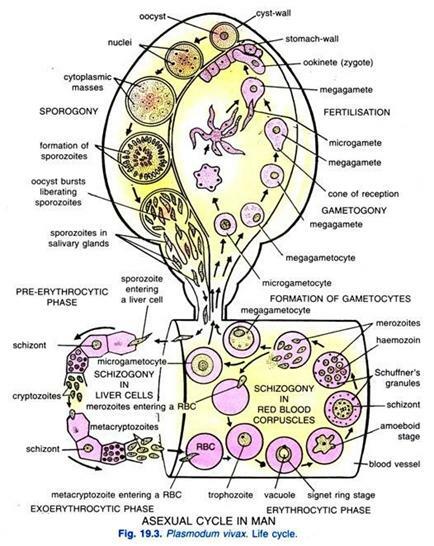 Gametocyte dynamics and the role of drugs in reducing the transmission potential of Plasmodium vivax. Douglas NM, Simpson JA, Phyo AP, Siswantoro H, Hasugian AR, Kenangalem E, Poespoprodjo JR, Singhasivanon P, Anstey NM, White NJ, Tjitra E, Nosten F, Price RN. J Infect Dis. 2013 Sep 1;208(5):801-12. doi: 10.1093/infdis/jit261. Epub 2013 Jun 12. 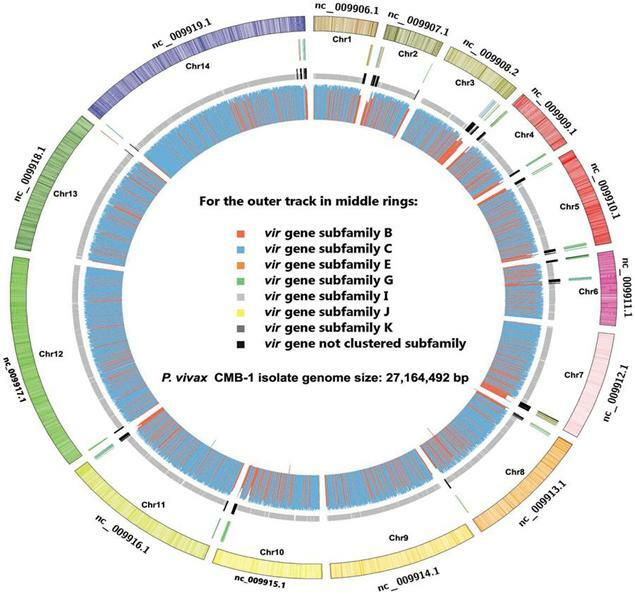 Therapeutic responses of Plasmodium vivax and P. falciparum to chloroquine, in an area of western India where P. vivax predominates. Srivastava HC, Yadav RS, Joshi H, Valecha N, Mallick PK, Prajapati SK, Dash AP. Ann Trop Med Parasitol. 2008 Sep;102(6):471-80. doi: 10.1179/136485908X311759. Clinical response and susceptibility in vitro of Plasmodium vivax to the standard regimen of chloroquine in Thailand. Tan-ariya P, Na-Bangchang K, Tin T, Limpaibul L, Brockelman CR, Karbwang J.
Trans R Soc Trop Med Hyg. 1995 Jul-Aug;89(4):426-9. 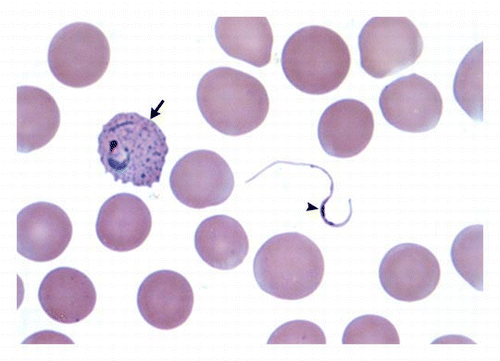 Congenital malaria due to chloroquine-resistant Plasmodium vivax: a case report. J Trop Pediatr. 2010 Dec;56(6):454-5. doi: 10.1093/tropej/fmq025. Epub 2010 Apr 13. Efficacy and safety of artemisinin-naphthoquine versus dihydroartemisinin-piperaquine in adult patients with uncomplicated malaria: a multi-centre study in Indonesia. Tjitra E, Hasugian AR, Siswantoro H, Prasetyorini B, Ekowatiningsih R, Yusnita EA, Purnamasari T, Driyah S, Salwati E; Nurhayati, Yuwarni E, Januar L, Labora J, Wijayanto B, Amansyah F, Dedang TA, Purnama A; Trihono. Malar J. 2012 Jun 14;11:153. doi: 10.1186/1475-2875-11-153. In vivo sensitivity monitoring of chloroquine for the treatment of uncomplicated vivax malaria in four bordered provinces of Thailand during 2009-2010. Congpuon K, Satimai W, Sujariyakul A, Intanakom S, Harnpitakpong W, Pranuth Y, Cholpol S, Bualombai P.
J Vector Borne Dis. 2011 Dec;48(4):190-6. 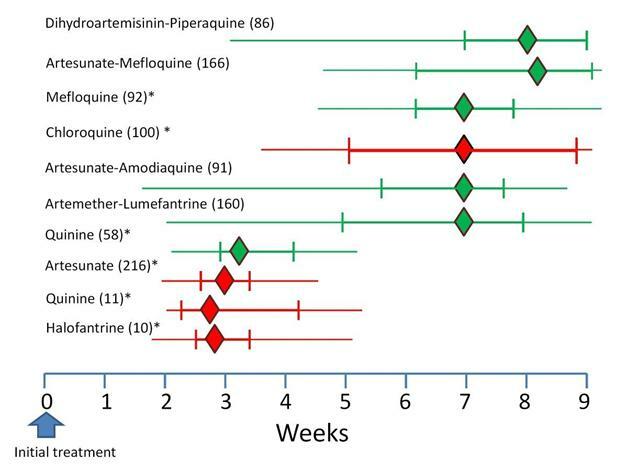 Dihydroartemisinin-piperaquine versus artesunate-amodiaquine: superior efficacy and posttreatment prophylaxis against multidrug-resistant Plasmodium falciparum and Plasmodium vivax malaria. Hasugian AR, Purba HL, Kenangalem E, Wuwung RM, Ebsworth EP, Maristela R, Penttinen PM, Laihad F, Anstey NM, Tjitra E, Price RN. Clin Infect Dis. 2007 Apr 15;44(8):1067-74. Epub 2007 Mar 5. Confirmed vivax resistance to chloroquine and effectiveness of artemether-lumefantrine for the treatment of vivax malaria in Ethiopia. Yohannes AM, Teklehaimanot A, Bergqvist Y, Ringwald P.
Am J Trop Med Hyg. 2011 Jan;84(1):137-40. doi: 10.4269/ajtmh.2011.09-0723. 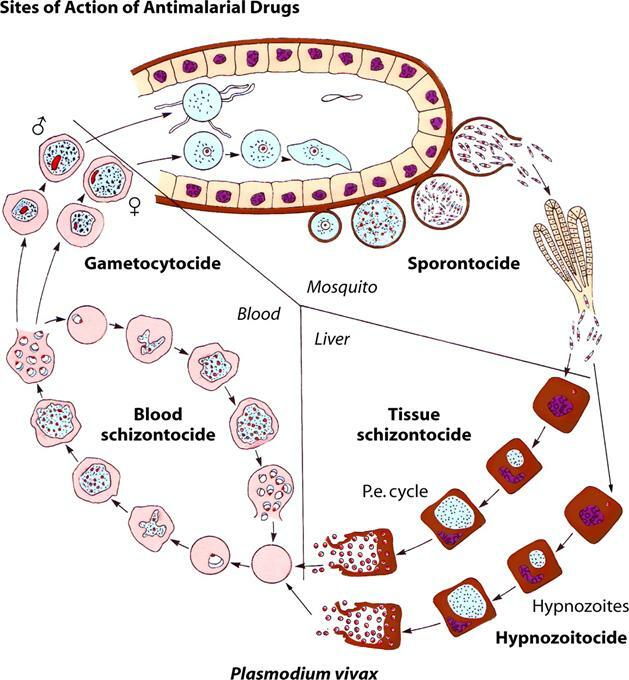 Ex vivo susceptibility of Plasmodium falciparum to antimalarial drugs in western, northern, and eastern Cambodia, 2011-2012: association with molecular markers. Lim P, Dek D, Try V, Eastman RT, Chy S, Sreng S, Suon S, Mao S, Sopha C, Sam B, Ashley EA, Miotto O, Dondorp AM, White NJ, Su XZ, Char MC, Anderson JM, Amaratunga C, Menard D, Fairhurst RM. Antimicrob Agents Chemother. 2013 Nov;57(11):5277-83. doi: 10.1128/AAC.00687-13. Epub 2013 Aug 12. Chloroquine sensitivity of Plasmodium vivax in Thailand. Looareesuwan S, Wilairatana P, Krudsood S, Treeprasertsuk S, Singhasivanon P, Bussaratid V, Chokjindachai W, Viriyavejakul P, Chalermrut K, Walsh D S, White J.
Ann Trop Med Parasitol. 1999 Apr;93(3):225-30. Therapeutic assessment of chloroquine-primaquine combined regimen in adult cohort of Plasmodium vivax malaria from a tertiary care hospital in southwestern India. Rishikesh K, Kamath A, Hande MH, Vidyasagar S, Acharya RV, Acharya V, Belle J, Shastry AB, Saravu K.
Malar J. 2015 Aug 11;14:310. doi: 10.1186/s12936-015-0824-y. Erratum in: Malar J. 2016;15:59. A randomized open study to assess the efficacy and tolerability of dihydroartemisinin-piperaquine for the treatment of uncomplicated falciparum malaria in Cambodia. Janssens B, van Herp M, Goubert L, Chan S, Uong S, Nong S, Socheat D, Brockman A, Ashley EA, Van Damme W.
Trop Med Int Health. 2007 Feb;12(2):251-9. Slow clearance of Plasmodium vivax with chloroquine amongst children younger than six months of age in the Brazilian Amazon. Siqueira AM, Coutinho LI, Gurgel RL, Su WC, Carvalho LM, Benzecry SG, Alencar AC, Alexandre MA, Alecrim MG, Lacerda MV. Mem Inst Oswaldo Cruz. 2014 Aug;109(5):540-5. Epub 2014 Aug 5. Declining responsiveness of Plasmodium falciparum infections to artemisinin-based combination treatments o­n the Kenyan coast. Borrmann S, Sasi P, Mwai L, Bashraheil M, Abdallah A, Muriithi S, Frühauf H, Schaub B, Pfeil J, Peshu J, Hanpithakpong W, Rippert A, Juma E, Tsofa B, Mosobo M, Lowe B, Osier F, Fegan G, Lindegårdh N, Nzila A, Peshu N, Mackinnon M, Marsh K.
PLoS o­ne. 2011;6(11):e26005. doi: 10.1371/journal.pone.0026005. Epub 2011 Nov 10. Pharmacokinetics and ex vivo pharmacodynamic antimalarial activity of dihydroartemisinin-piperaquine in patients with uncomplicated falciparum malaria in Vietnam. 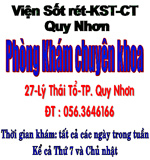 Nguyen DV, Nguyen QP, Nguyen ND, Le TT, Nguyen TD, Dinh DN, Nguyen TX, Bui D, Chavchich M, Edstein MD. Antimicrob Agents Chemother. 2009 Aug;53(8):3534-7. doi: 10.1128/AAC.01717-08. Epub 2009 Jun 15. Clinical-parasitological response and in-vitro sensitivity of Plasmodium vivax to chloroquine and quinine o­n the western border of Thailand. Tasanor O, Ruengweerayut R, Sirichaisinthop J, Congpuong K, Wernsdorfer WH, Na-Bangchang K.
Trans R Soc Trop Med Hyg. 2006 May;100(5):410-8. Epub 2006 Feb 23. Baird JK, Leksana B, Masbar S, Fryauff DJ, Sutanihardja MA, Suradi, Wignall FS, Hoffman SL. Am J Trop Med Hyg. 1997 Jun;56(6):621-6. Review. Sulfadoxine-pyrimethamine, chlorproguanil-dapsone, or chloroquine for the treatment of Plasmodium vivax malaria in Afghanistan and Pakistan: a randomized controlled trial. Leslie T, Mayan MI, Hasan MA, Safi MH, Klinkenberg E, Whitty CJ, Rowland M.
Treatment of vivax malaria o­n the western border of Thailand. Luxemburger C, van Vugt M, Jonathan S, McGready R, Looareesuwan S, White NJ, Nosten F.
Trans R Soc Trop Med Hyg. 1999 Jul-Aug;93(4):433-8. Efficacy and day 7 plasma piperaquine concentrations in African children treated for uncomplicated malaria with dihydroartemisinin-piperaquine. Zongo I, Somé FA, Somda SA, Parikh S, Rouamba N, Rosenthal PJ, Tarning J, Lindegardh N, Nosten F, Ouédraogo JB. PLoS o­ne. 2014 Aug 18;9(8):e103200. doi: 10.1371/journal.pone.0103200. eCollection 2014. Tafenoquine plus chloroquine for the treatment and relapse prevention of Plasmodium vivax malaria (DETECTIVE): a multicentre, double-blind, randomised, phase 2b dose-selection study. Llanos-Cuentas A, Lacerda MV, Rueangweerayut R, Krudsood S, Gupta SK, Kochar SK, Arthur P, Chuenchom N, Möhrle JJ, Duparc S, Ugwuegbulam C, Kleim JP, Carter N, Green JA, Kellam L.
Lancet. 2014 Mar 22;383(9922):1049-58. doi: 10.1016/S0140-6736(13)62568-4. Epub 2013 Dec 19. 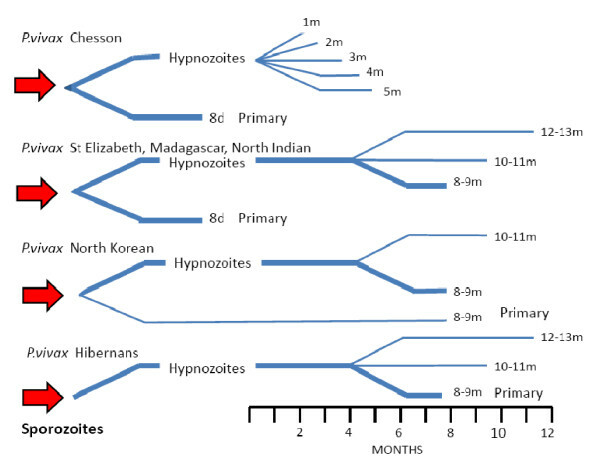 Plasmodium vivax resistance to chloroquine in Dawei, southern Myanmar. Guthmann JP, Pittet A, Lesage A, Imwong M, Lindegardh N, Min Lwin M, Zaw T, Annerberg A, de Radiguès X, Nosten F.
Trop Med Int Health. 2008 Jan;13(1):91-8. doi: 10.1111/j.1365-3156.2007.01978.x. Sensitivity of Plasmodium vivax to chloroquine in Sa Kaeo Province, Thailand. Congpuong K, Na-Bangchang K, Thimasarn K, Tasanor U, Wernsdorfer WH. Chloroquine efficacy for Plasmodium vivax malaria treatment in southern Ethiopia. Getachew S, Thriemer K, Auburn S, Abera A, Gadisa E, Aseffa A, Price RN, Petros B.
Malar J. 2015 Dec 24;14:525. doi: 10.1186/s12936-015-1041-4. [Short course schemes for vivax malaria treatment]. da Silva Rdo S, Pinto AY, Calvosa VS, de Souza JM. Rev Soc Bras Med Trop. 2003 Mar-Apr;36(2):235-9. Epub 2003 Jun 10. Portuguese. Safety and efficacy of dihydroartemisinin-piperaquine versus artemether-lumefantrine in the treatment of uncomplicated Plasmodium falciparum malaria in Zambian children. Nambozi M, Van Geertruyden JP, Hachizovu S, Chaponda M, Mukwamataba D, Mulenga M, Ubben D, D'Alessandro U.
Malar J. 2011 Feb 28;10:50. doi: 10.1186/1475-2875-10-50. 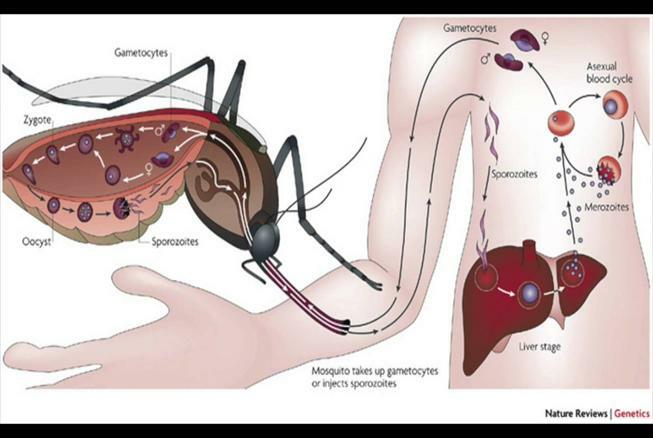 Chemotherapy and drug resistance status of malaria parasite in northeast India. Goswami D, Baruah I, Dhiman S, Rabha B, Veer V, Singh L, Sharma DK. Asian Pac J Trop Med. 2013 Jul;6(7):583-8. doi: 10.1016/S1995-7645(13)60101-7. Review. Therapeutic efficacy of chloroquine for the treatment of Plasmodium vivax malaria among outpatients at Hossana Health Care Centre, southern Ethiopia. Assefa M, Eshetu T, Biruksew A.
Malar J. 2015 Nov 17;14:458. doi: 10.1186/s12936-015-0983-x. 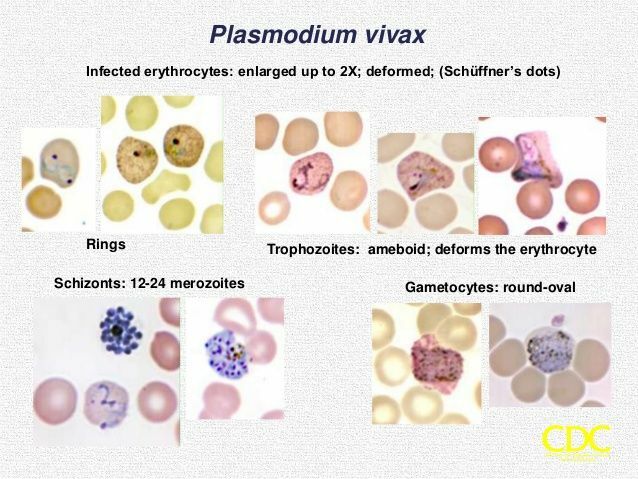 Three unusual presentations of plasmodium vivax malaria. Sonkar SK, Uniyal R, Sonkar GK. Trop Doct. 2011 Oct;41(4):240-1. doi: 10.1258/td.2011.110220. Epub 2011 Sep 16. Susceptibility to chloroquine, mefloquine and artemisinin of Plasmodium vivax in northwestern Thailand. Woitsch B, Wernsdorfer G, Congpuong K, Rojanawatsirivet C, Sirichaisinthop J, Wernsdorfer WH. Wien Klin Wochenschr. 2007;119(19-20 Suppl 3):76-82. Erratum in: Wien Klin Wochenschr. 2009 Oct;121 Suppl 3:following 56. [Research progress o­n Plasmodium vivax chloroquine resistance]. Li JY, Li Q, Fang Q.
Zhongguo Xue Xi Chong Bing Fang Zhi Za Zhi. 2014 Jun;26(3):326-31. Review. Chinese. Intermittent screening and treatment or intermittent preventive treatment with dihydroartemisinin-piperaquine versus intermittent preventive treatment with sulfadoxine-pyrimethamine for the control of malaria during pregnancy in western Kenya: an open-label, three-group, randomised controlled superiority trial. Desai M, Gutman J, L'lanziva A, Otieno K, Juma E, Kariuki S, Ouma P, Were V, Laserson K, Katana A, Williamson J, ter Kuile FO. Lancet. 2015 Dec 19;386(10012):2507-19. doi: 10.1016/S0140-6736(15)00310-4. Epub 2015 Sep 28. Open label randomized comparison of dihydroartemisinin-piperaquine and artesunate-amodiaquine for the treatment of uncomplicated Plasmodium falciparum malaria in central Vietnam. Thanh NX, Trung TN, Phong NC, Thien NX, Dai B, Shanks GD, Chavchich M, Edstein MD. Trop Med Int Health. 2009 May;14(5):504-11. doi: 10.1111/j.1365-3156.2009.02269.x. Epub 2009 Mar 19. Failure of dihydroartemisinin-piperaquine treatment of uncomplicated Plasmodium falciparum malaria in a traveller coming from Ethiopia. Gobbi F, Buonfrate D, Menegon M, Lunardi G, Angheben A, Severini C, Gori S, Bisoffi Z.
Malar J. 2016 Nov 3;15(1):525. Multi-Country Evaluation of Safety of Dihydroartemisinin/Piperaquine Post-Licensure in African Public Hospitals with Electrocardiograms. Kabanywanyi AM, Baiden R, Ali AM, Mahende MK, Ogutu BR, Oduro A, Tinto H, Gyapong M, Sie A, Sevene E, Macete E, Owusu-Agyei S, Adjei A, Compaoré G, Valea I, Osei I, Yawson A, Adjuik M, Akparibo R, Kakolwa MA, Abdulla S, Binka F.